A true veteran of the industry, British developer Julian Gollop has been making games for longer than many of this site's readers have been alive. His career started way back in 1983 with Time Lords, but it was with titles like Rebelstar and Laser Squad that he really made his name; Gollop was one of the leading forces behind the then-fledgling strategy genre, and his influence can be felt in countless titles released since the '80s. 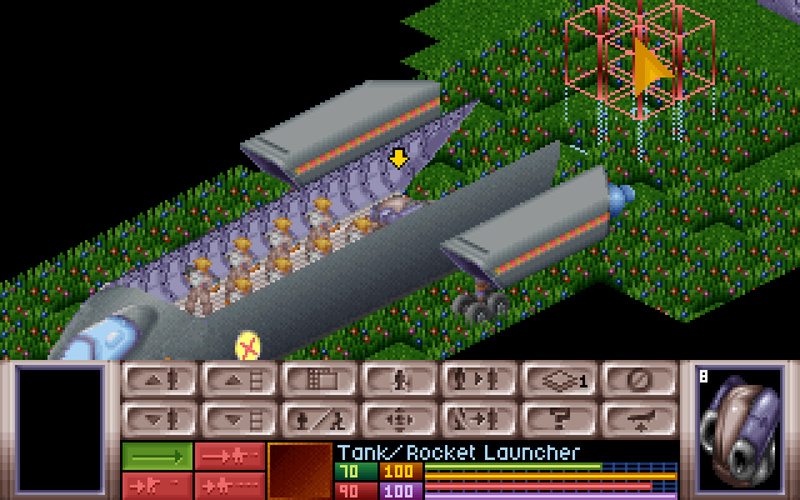 1994's X-COM: Enemy Unknown — a title Gollop created with his brother Nick — is without a doubt one of the finest turn-based strategy titles ever created, and was recently honoured with a lovingly-crafted remake courtesy of Firaxis Games. Gollop's legacy is far-reaching but he's never been one to rest on his laurels. He designed 3DS launch title Ghost Recon: Shadow Wars — undoubtedly one of the better titles available for the console at the time of release — before working on Assassin's Creed III: Liberation for the PS Vita, a title which has recently undergone the HD treatment for home consoles. His next project is a very personal one, and is a reboot of his seminal 1985 ZX Spectrum release, Chaos: The Battle of Wizards. We sat down to speak with the esteemed developer just as he was preparing to launch a Kickstarter campaign for the title. Nintendo Life: Ghost Recon: Shadow Wars was one of the undisputed gems of the 3DS launch lineup. Were you happy with the critical and commercial performance of the title? Julian Gollop: I was very happy with the critical reception for GRSW, given the tight deadlines we had and the limitations of the Nintendo dev kits until shortly before the launch of the console. It was the second highest rated launch title for the 3DS on Metacritic, which is no small achievement. The commercial performance was not so good, largely because the launch of the 3DS was underwhelming, and only corrected by a price drop some time later. How did the game come about? Did you pitch to Ubisoft or did Ubisoft approach you with the idea of using the Ghost Recon brand? Julian Gollop: I wanted to make a turn-based strategy game, but Ubisoft wasn't renowned for developing such games at the time, so I thought of a clever way to pitch it. I looked at Ubisoft's existing franchises and picked Ghost Recon as the setting. I chose Nintendo DS as the platform, because Nintendo handhelds had a good reputation for turn based strategy/tactics RPG games, thanks to Advance Wars and Fire Emblem. So, I basically pitched the idea to Ubisoft's editorial team as "Ghost Recon meets X-COM for Nintendo DS" and they went for it. It just so happened that they had an upcoming Ghost Recon title planned and they wanted a DS version launched simultaneously. Things didn't quite work out that way, as Ghost Recon on the big platforms was delayed and our game became a launch title for the Nintendo 3DS. What was it like working with 3D for the first time? Did it throw up any particular challenges? Julian Gollop: The 3D feature of the 3DS wasn't known to us until late in development, even after we had the dev kits for some time. As soon as it was announced we realised we had to swap the screens round, because we had the game display on the lower screen, which was 2D, and the information display on the upper screen, which was now revealed to be 3D. We then had to work on the camera position and the environment graphics to make better use of the 3D effect. I must say I liked the 3D effect quite a lot, but it was never essential for GRSW. What would you do differently if you could develop the game again? Julian Gollop: I would get a scriptwriter on board earlier so we could develop the story and characters better. At the time, though, we were somewhat constrained by the storyline of the bigger platforms — which was actually abandoned later on. So the story in GRSW is actually a prequel to story that was never told. Do you have plans for any other 3DS titles — retail or download? Julian Gollop: No, although I would have loved to have continued working on the 3DS. I have always loved the Nintendo handhelds ever since I got my Gameboy in 1989, and I am glad the 3DS is now doing really well. Rebelstar Tactical Command is another Nintendo title of yours, and follows on from one of your earlier hits, Rebelstar Raiders. What was it like working on the Game Boy Advance? Have you ever considered making the game available on the 3DS? Julian Gollop: Working on the Game Boy Advance was great — although very challenging for our relatively complex little strategy game. We never quite got the frame rate fast enough, but the game was playable. I am quite proud of what we achieved, and it was made in 8 months with no previous experience developing on the GBA. I have never considered making it available for the 3DS though — Namco, the publisher, holds the rights. We did start work on a sequel which was originally destined for the DS, but Namco wanted to change platform to PSP and the project never got off the ground. [Editor's note: you can read about it here and here]. One of your most famous titles is X-COM. What are your thoughts on the recent interpretations of the game? Were you approached to assist on either project? Julian Gollop: The Firaxis game XCOM Enemy Unknown is a really great reworking of the original game, with a really neat tactical combat system and character progression system. The presentation is also really great. It has certainly made turn-based strategy games a viable proposition again. I haven't played The Bureau: XCOM Declassified, and I am not much inclined to since it is not a turn-based strategy game. I wasn't approached to assist on either project. 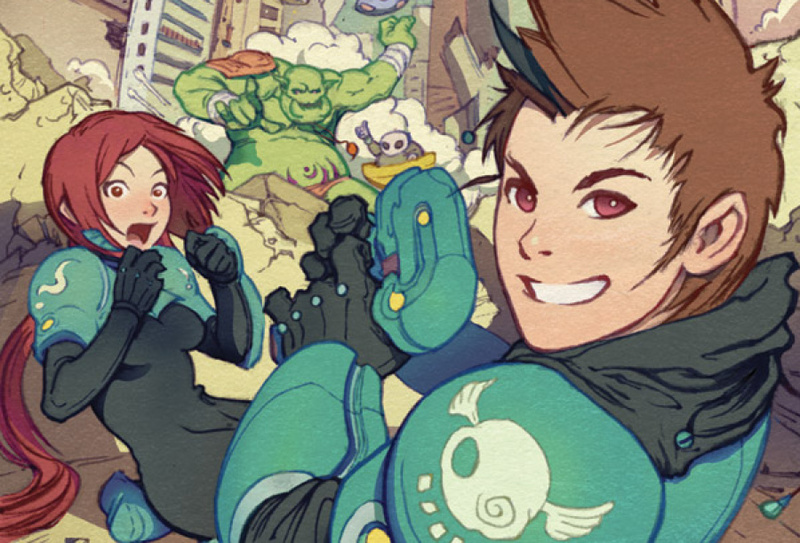 What happened to cancelled The Dreamland Chronicles: Freedom Ridge? Julian Gollop: Dreamland Chronicles was a reworking of the original X-COM game for PC and PS2. It had 3D graphics and a control scheme and viewpoint almost identical to a later strategy game on the PS3 called Valkyria Chronicles. While we were working on Dreamland Chronicles, our publisher, Virgin Interactive, was sold to Interplay, which was then sold to Titus Interactive, who ultimately were not interested in the game we were working on. We ran out of money, so we had to liquidate our company. The assets for Dreamland Chronicles were given to Altar Interactive who made UFO: Aftermath, although very little of my original design survived in that game. Your career spans all the way back to the '80s. How has games development and publishing changed in that time? What's it like working with hardware which is so much more powerful than the 8-bit home computers of the past? Does it make things easier, or harder? Julian Gollop: There have been enormous changes since I was working in my bedroom with just my 48k ZX Spectrum. In some ways things are now easier — there are enormously powerful tools and engines which make the process of game development less painful. However, the competition is big with huge numbers of games being released every week. The diversity of game players has increased a lot and there are better ways to reach them. I think that Apple fundamentally changed the way games are published when they opened their App Store. Now Steam has become a force in game distribution for computers. For all these reasons there has actually been an explosion of small indie development studios trying to fill all the gaps that the big publishers have left behind. These are exciting times. What are your thoughts on the Wii U? Are you working on anything for that platform at the moment? Julian Gollop: I was a great fan of the Wii, but I am less sure about the Wii U, although I would like to see it do well. I don't have any plans to do anything for it right now, but that could change. How do you think the concept of having two screens — TV and GamePad — can benefit turn-based strategy titles? Julian Gollop: My current game project, Chaos Reborn, would actually work really well on the Wii U for multiplayer games, because the player whose turn it is can use the GamePad to secretly select his spells and illusions while other players view the action on the TV. I can easily see the use of the GamePad to be used like this for other games as well. Do you have any plans to bring Chaos Reborn to the Wii U or 3DS eShop? Julian Gollop: Not at the moment, but if the game is successful, then it may become possible. You've spoken of your love of the Fire Emblem series; what makes it so special in your eyes? Julian Gollop: Fire Emblem is a perfect blend of turn-based tactics with an RPG. I really felt invested in the characters and it was tragic when one of them died. I also liked the fact that it is quite streamlined to play, with an efficient control scheme. Are there any other Nintendo franchises which hold particular importance to you personally? Julian Gollop: Yes, Advance Wars. This game was main reason I did Rebelstar Tactical Command and Ghost Recon: Shadow Wars for Nintendo handhelds. Have you had chance to play Fire Emblem: Awakening yet? Julian Gollop: No, not yet. I have a strictly limited diet of game playing at the moment, but it is certainly on my list of games to play. You're famous for your contributions to the turn-based strategy genre, but have you ever wanted to create something entirely different? Julian Gollop: Yes, frequently. I have designed several puzzle games, and I am quite keen on this genre. Some of my favourite DS games are Might and Magic Clash of Heroes, Planet Puzzle League and Picross. I might still do something along these lines in the future. Thanks to Julian for taking the time to speak to us. Lovely. Thanks for the interview. I've been a fan of his work ever since Nebula on the Speccy and have most of his games. One of the best game developers, for me. Really hope he does something again for a Nintendo platform in the future. Ghost Recon was a lovely game. Great 3d as was said in such short time given. Definitly one of my top 10 games on the system. I would most defilitly pick up his latest if given the chance! That Chaos Reborn rubs me the right way. Guess i'll back it up. Julian Gollop, a true legend. Thanks for the great and informative interview! Hopefully Ghost Recon Shadow Wars isn't the last Gollop game on Nintendo platforms. I loved Rebelstar Tactical Command and bought it on day one when it was released. 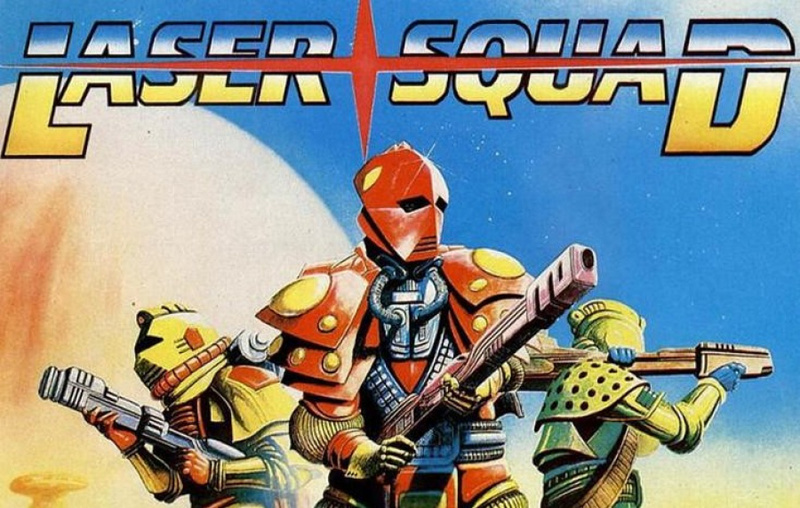 Remember many good old days duking it out against my brother in Laser Squad with Commodore C64/Amiga. Ghost Recon: Shadow Wars is still one of the best games on the system and one of the best I've played in recent years. I loved playing that game so much. I'll have to try out Ghost Recon Shadow Wars after I'm done with Fire Emblem. Pretty great interview. It shows how versatile the strategy genre of games is fitting into any play style from turn based to real time and being able to adapt to any sort of story or time period. Turn based strategy happens to be one of my favorite types of games out there. Shadow Wars was an amazing launch title no doubt. I wonder what the top selling launch title for the 3DS was? Street Fighter I'm guessing? Enough saying it, bring it. Wii U could use a lot more doers and less theorists. It's cool he still has a soft spot for the Big N after all these years. Makes me want to play Shadow Wars now. Shoutouts to the man for playing Planet Puzzle League. I love that game as well. Fascinating, hearing more about Shadow Wars, still one of my favourite 3DS games! It's a shame it didn't sell too well though, so there's no chance of a sequel. I would not doubt something of Gollops showing up on a Nintendo handheld again. Shadow Wars is about all I played on 3DS after launch until Zelda came out. A really good hanheld SRPG so if you like that type of game then get it...its very cheap now. 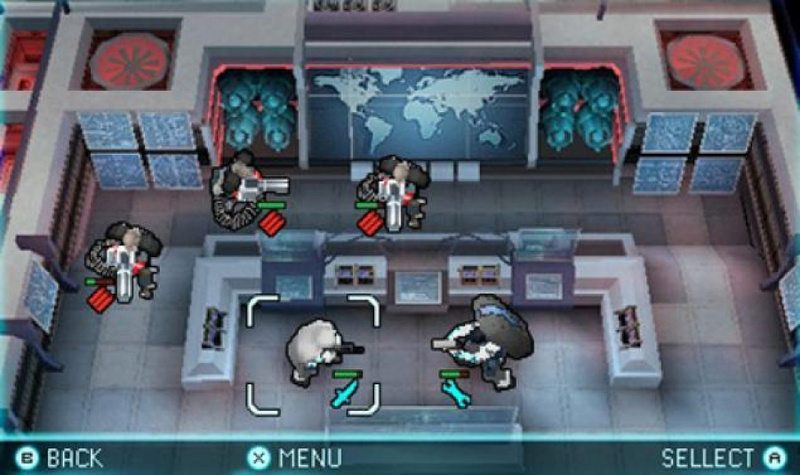 I would really love to see an X-com game on 3DS. 3DS now has over 40mil and will end up over 75mil units so for many publishers the 3DS is now much more viable. Factor in eShop as a low cost deployment platform for smaller devs and I expect 3DS to get a lot of games in the next 3 years. Thank you Damien for another great feature! I first heard of Julian Gollop from a video clip released by Ubisoft, where he presented the concepts behind Ghost Recon: Shadow Wars by playing a bit of the game. It sold me on the game - and it made me interested in this type of games, that wasn't on my radar before! @MeloMan Hear hear. It's frustrating to hear someone say "I'm not sure about the Wii U, it doesn't have games I like on it" and then have him follow that with "I have this game that would be perfect on the Wii U"
Sad to see Shadow Wars didn't sell to hot. One of the better launch period 3DS titles. I spent like $40 on it in April 2011 and today its like $7 GO NOW, NO EXCUSES TO THOSE WHO DON'T HAVE IT!!!!!!!!!!!!!!!!!!!!!!!!!!!!!!!!!!!!!!!! What game is the first picture from? 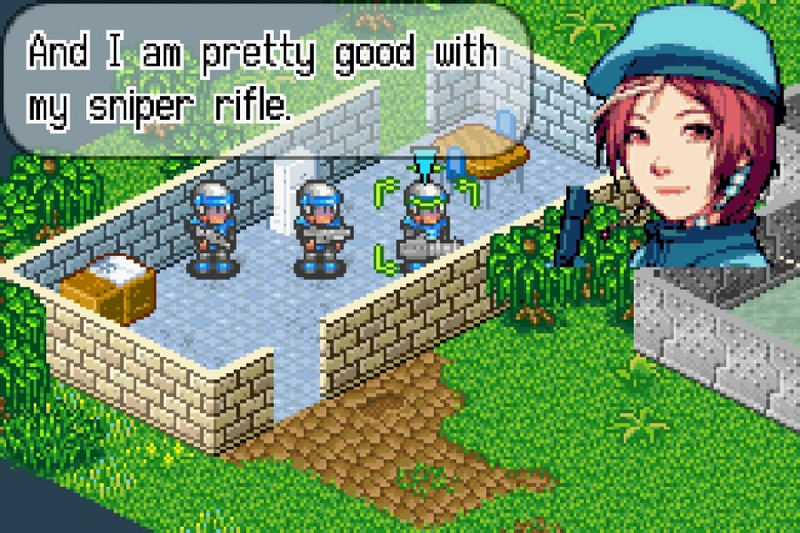 I miss Advance Wars series. I hope they bring it back.